A New "Low End" BlackBerry That Rocks?! 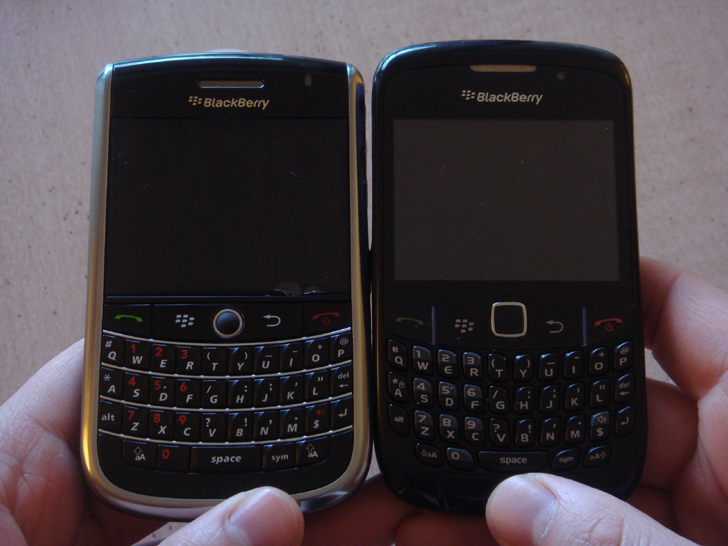 Rumors of a new BlackBerry with the codename "Gemini" have been running around the interwebs since early 2009, evolving slightly with every new blog post made about it. 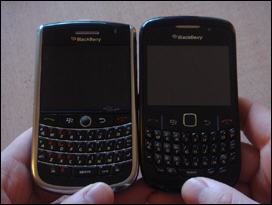 After some back and forth on device model number (previously labeled as the 8325 after some initial confusion), the prevailing thought on what has been now named the BlackBerry 8520 is that would it would be a new "low end" EDGE-only addition to the popular Curve line. In other words, the Curve 8520 was not something to get too excited about. 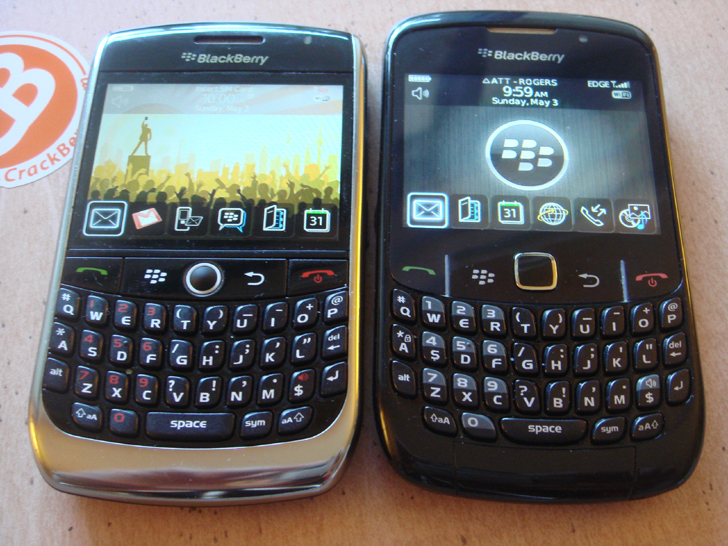 However, this changed after seeing the first live shots of the BlackBerry Curve 8520 surface this past week, which showed off a slick looking device with the traditional trackball replaced in favor of an optical one... the "Gemini" was officially now a device we couldn't wait to learn more about. 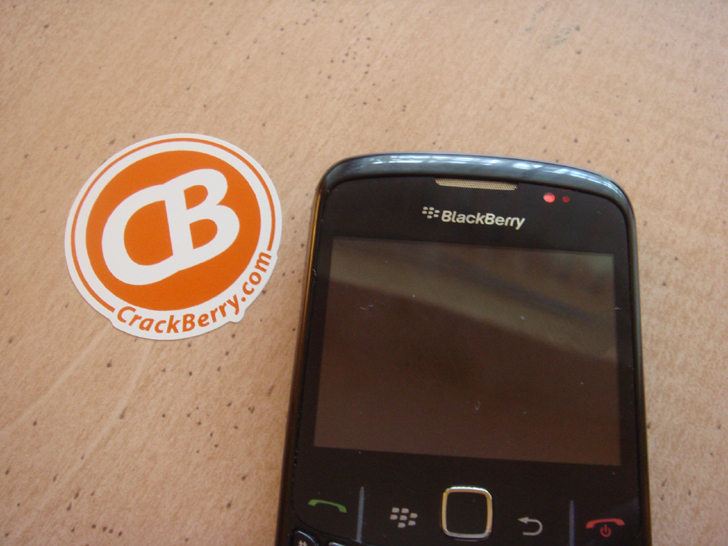 And good news - it didn't take us long to get our CrackBerry-addicted hands on one. So grab a bevvy, sit back, and read on to see plenty of photos, a video and our initial impressions on the newest Curve. 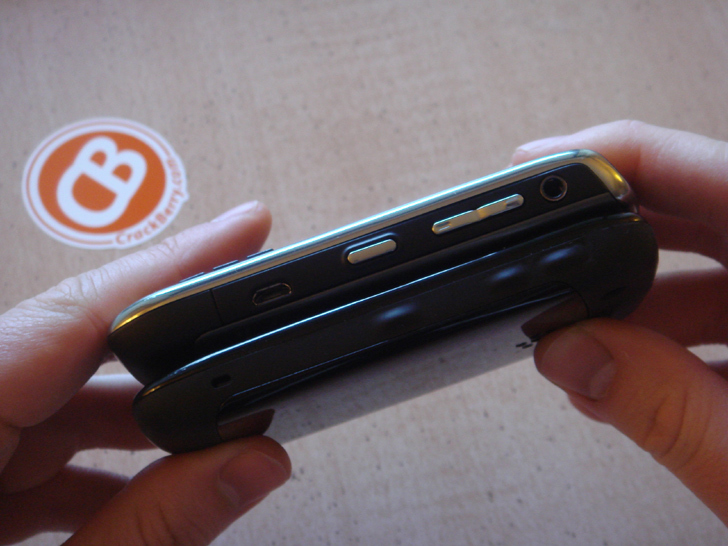 As far as pre-release reviews go, the BlackBerry Curve 8520 in this hands-on feels very much like a production unit. The hardware is well put together and the OS is running smoothly. Edge devices like this are old-hat for RIM so that's no surprise. 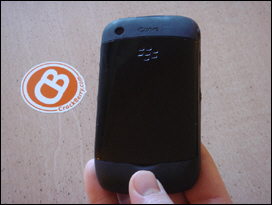 The BlackBerry Curve 8520 reviewed here is running OS 4.6.1, but we expect (hope) to ultimately see this hit store shelves running OS 5.0 (click here to learn about the improvemens in OS 5.0). With it now being fairly clear that devices running an operating system version older than 4.6 won't be getting an update to 5.0, it makes sense that RIM refresh the 83xx series into the 85xx series, which will get the newer OS. And like the Curve 8300 series, where you have your choice of one big feature (8310 for GPS, 8320 for WiFi, 8330 for CDMA), we expect to see more than just the 8520 be rolled out in the months ahead. 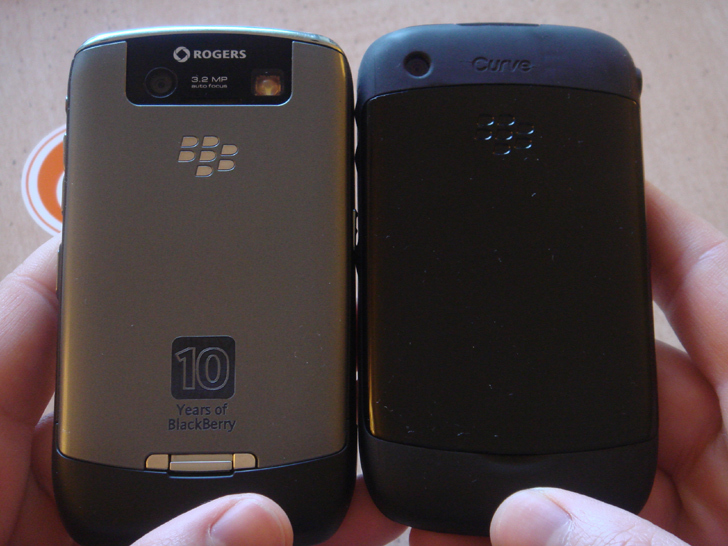 Again, think Curve 8510 with GPS, Curve 8520 with WiFi, and Curve 8530 for CDMA carriers (this is unconfirmed... just think of it as logical speculation for now). Many of you reading this will go "No 3G, Fail!" but you need to remember that there is and will be (at least for a little while longer!) a market for EDGE-only devices and RIM needs to have a base model, full QWERTY Edge device in their next-generation styling to fill that need. Thus it seems logical that the 8500 series is simply the replacement to the Curve 8300 series. This also justifies why a base model device will be the first to introduce a cool feature like the optical trackball. The Curve 8300 series lineup has been hugely popular and has a lot of loyal users (Curve is the #1 Selling Smartphone in the USA) and there are likely a lot of existing owners out there who would make the jump up to this device. As for attracting new users to BlackBerry, it has also been suggested by many people that the 8520 is device built with Pay as You Go in mind. We haven't heard much yet in terms of carrier pickup for the 8520 (who's getting it) so whether this 85xx series rolls out to a lot of carriers as a replacement to the 83xx series or becomes a prepaid play by a few select carriers, we're honestly not quite sure at this point. Time will reveal all. With GPS and WiFi in one and overall better hardware specs (better camera, display, battery, etc.) the BlackBerry Curve 8900 is clearly the current flagship of the non-3G BlackBerry line. So the Curve 85xx device model falling in between 83xx and 8900 makes sense. For those of you upset with the lack of 3G here, keep in mind that's simply not the point of this device model. If you read the BlackBerry blogs, you'll know there are a lot of other upcoming rumored devices (who's drooling for Magnum?!) that will fit into the 9000 series of BlackBerry devices sporting 3G. Hopefully we'll see some new and exciting things in that lineup soon! Based on the unit reviewed here, while we don't have any sort of concrete release date information on the 8520 at the time of this writing, we'd bet that it does get announced sooner rather than later. It feels good to go. If you follow RIM's quarterly reports or talk to any analysts, you'll know one of the areas of concern around companies that build smartphones is the margin they can get off each device sold. Picking up the Curve 8520, while it has a new look you get a bit of a sense of "recycling" of older (high margin!) parts. 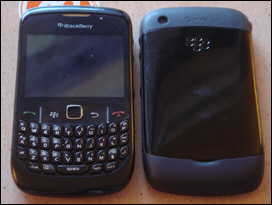 The display, battery and camera (minus the flash) appear to be straight off the Curve 8300 series. It's kind of like GM tossing Cavalier door locks onto their H3. But honestly, it's not a bad thing at all as the whole package is tight - the Curve 8520 is a real nice device to hold and play with. The Curve 8520 makes me think of Johnny Cash (one of my heroes!). 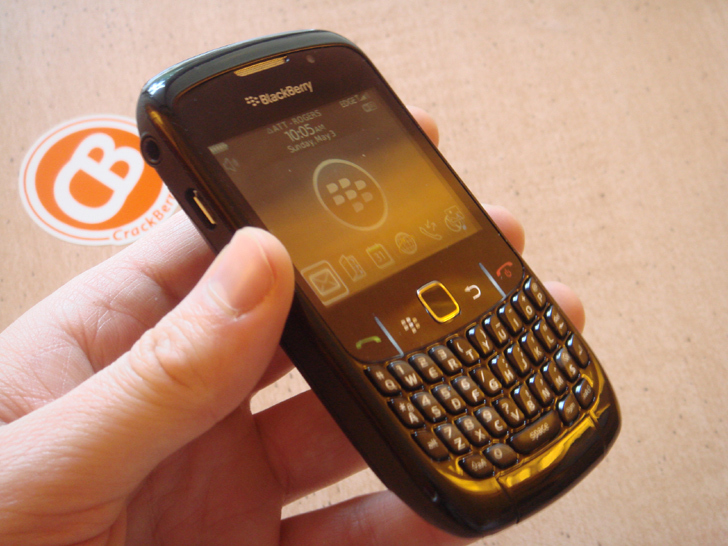 He was the Man in Black, and seriously, this is the BlackBerry in Black. That said, I recorded the video below Sunday morning (and after Saturday night had no way to hold my head that didn't hurt) hence the music selection. 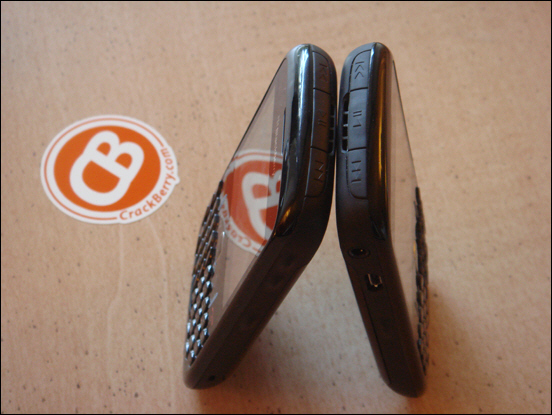 So take a watch to see the BlackBerry Curve 8520 and its optical trackball in action... I hope you enjoy the show! 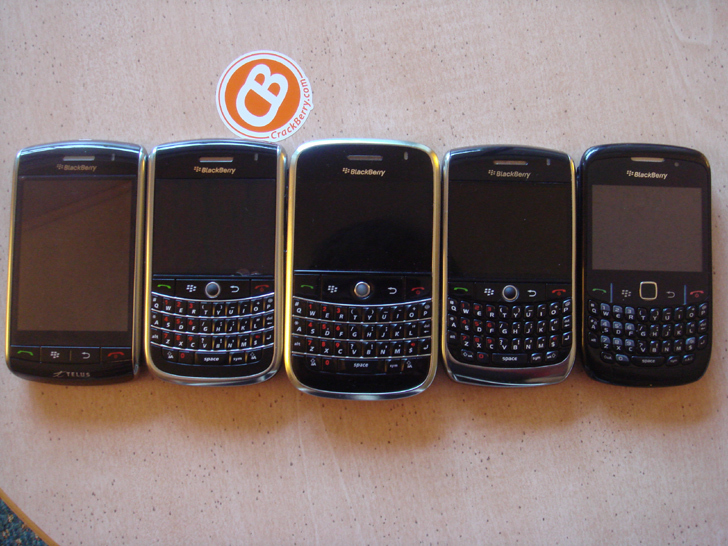 Picking up the 8520, you know it's a BlackBerry Curve. Despite the visual changes and addition of the optical track-ball-pad, it maintains that user-friendly feeling and form factor of the Curve 8300s and 8900 in hand. And the whole package works well. I was scared to say goodbye to the trackball, but took to the optical sensor within a few minutes. And though I'm not sure what processor is in there, the OS experience is much improved over the Curve 83xx (if it's the same processor, the additional memory must make a world of difference?!). 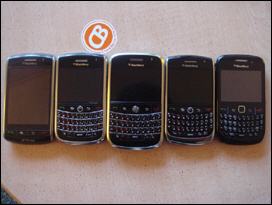 While I'm more of a fan of high-end specs on gadgets, I could actually see myself leaving my Bold or Curve 8900 or Storm or 9630 at home some days and carrying around the 8520 just to enjoy the experience. 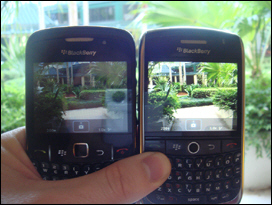 It also makes me excited for what we'll see from RIM in terms of their upcoming higher-end devices. If this is the look and feel of their base model device, then I'm thinking we should be wowed by their next generation of high end devices. Form Factor - I personally really like the design approach Research in Motion has taken with the BlackBerry Curve 8520's form factor. On the front, they've extended the LCD protector / covering / shiny stuff (don't know what the actual term for it is but I'm sure you know what I mean) both up towards the top of the device and down over the buttons and right to the keyboard. Subbing out the trackball for optical trackpad, this combined gives the 8520 a more modern and sleek look. Though the Send / End / Menu / Back keys are still clickable, they are combined into one piece (the white lines are slightly ridged up so you always find and hit the right command). 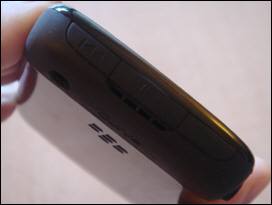 The rubber coating on the volume buttons and convenience keys also makes them seem more a part of the device itself. 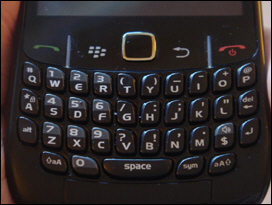 Along with the camera flash, another BlackBerry feature notably missing from the 8520 form factor are charging contacts - I guess there won't be a BlackBerry charging pod for this one. Come to think of it, you probably won't skin this device either since it sort of comes pre-skinned with it's rubberized body (no charging pod, no need for skins... lends well to the theory of this being a prepaid play). All in all, it's a more unified design philosophy which I have a feeling may hold up better to wear and tear than previous BlackBerry smartphone designs. Optical Trackball - There are a couple of other smartphones on the market that use a similar optical trackpad for navigation, and I'm happy to say that RIM's implementation of it on the Curve 8520 seems to be pretty smooth. You can watch the video above to see it in action. Just like the standard trackball, you can adjust the sensitivity of it under Options > Screen/Keyboard. With the Audible Roll setting on Mute, I was a little tripped out by the lack of noise while navigating. With no tactile/audible response, you're really forced to look at the display to see just how far you've moved. I turned the audible roll onto Click, and from there felt immediately more at home. 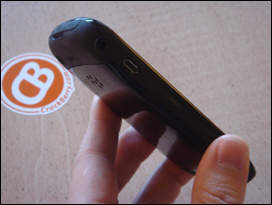 For navigating the OS and doing things like web browsing, the optical sensor works well. I guess it is an eight-way pad, as I could scroll diagonally while web browsing. And it does "click" down, like a regular trackball, for making selections. So far, the only place where I've found myself having a bit of difficulty with the optical input is playing BrickBreaker. I think the traditional trackball is probably better for quick, accurate motions. Though practice does make perfect. I've heard sweaty fingers and being in bright, bright light can cause issue with this kind of an optical input, but I haven't experienced any issues yet. All in all, so far it's a thumbs up from me. And with no moving parts, it should prove more durable than the traditional trackball. Media Buttons - New to the Curve 8520 are dedicated media player buttons, located at the top of the device. While there's no dedicated lock key on the 8520, holding down the Play / Pause button for two seconds does put the device into standby mode. Display: The Curve 8520 features a 320 by 240 resolution display. 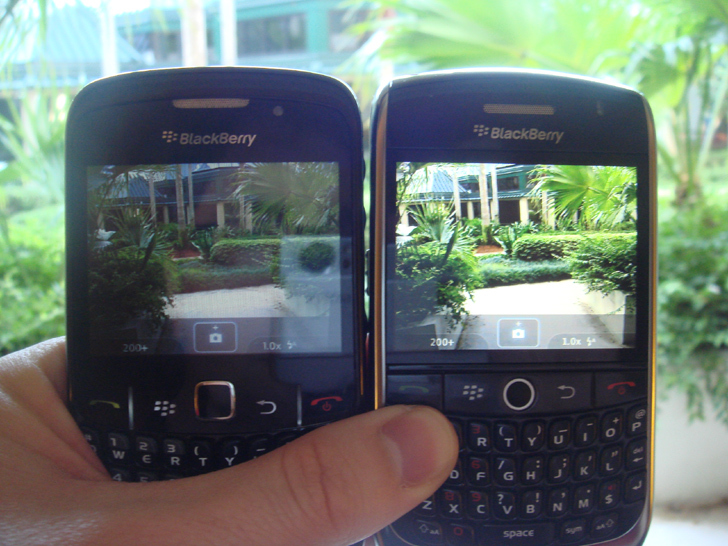 I left all my older BlackBerry devices at home when I came out to Orlando for WES, so unfortunately while writing this don't have an older device to compare to (will follow up next week with direct comparisons). I can say that while the display shows a decent picture and video, it is definitely a step down if you've ever used the Bold, 8900, Storm or 9630. And where you really lose out is in web browsing. 320 pixels just isn't enough these days for those of us who like to browse the web on our smartphones. Other Stuff: Be sure to click the images above to zoom in on the photos (I've left some descriptions beneath) and get a better look. You'll see the keyboard is much like the 8900's (which is kind of like the 8700's) but with a slightly different bottom row. There are actually two notification lights. The battery door doesn't feature a latch, but is sort of gently pried off. 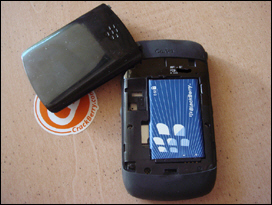 It is easy insert and remove microSD cards into the media card slot (also underneath the battery door) and you don't need to remove the battery to access it. The rubberized casing makes it easier to build a "House of BlackBerry Smartphones"
As was correctly rumored, looking at the specs the "Gemini" isn't what you'd consider a top of the line smartphone. And that's ok - it wasn't designed to be and I'm sure it won't be marketed to compete as such. 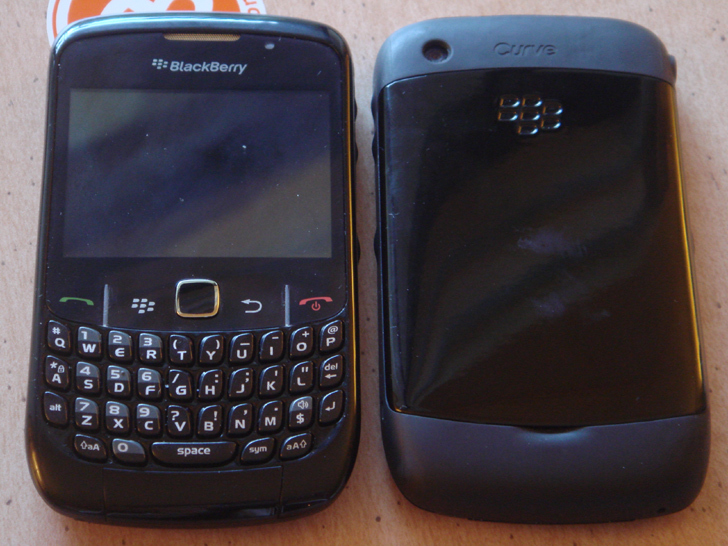 I will be curious to see how RIM ultimately positions the device - whether the 85xx will be picked up by carriers as a straight update to the Curve 8300 series or if instead this will be sold outright for use on prepaid BlackBerry plans. Either way, I really like the 8520. 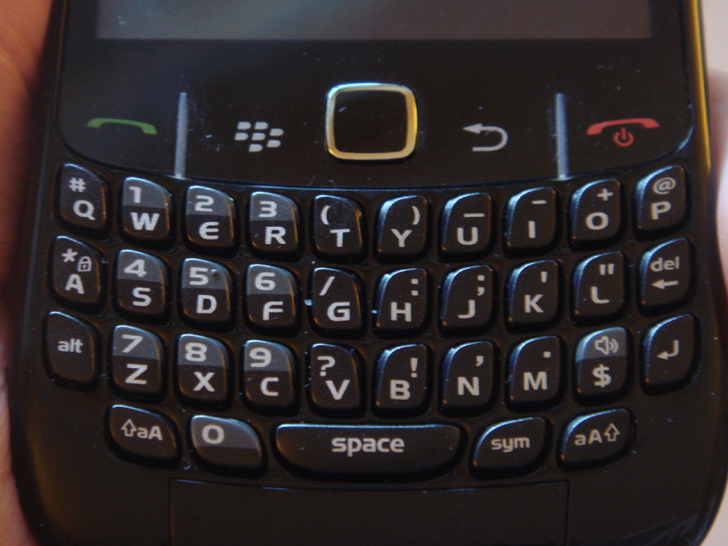 It looks good, feels good and the optical trackball seems to fit well and work well on a full qwerty BlackBerry (I wonder if it will become the new standard input method or if we'll still see new models with trackballs??). I'll be sure to follow up with some more thoughts on the Gemini in the weeks ahead. 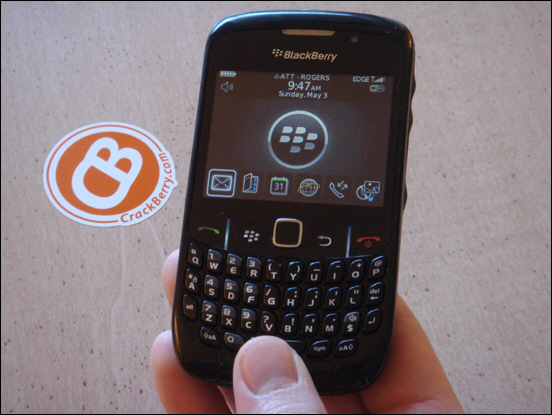 Until then, be sure to drop your comments, questions and thoughts below or in our new BlackBerry Curve 8520 forum.